A few years ago a group of officials from the Northern Provincial Council met a farmer in Vavuniya and asked for his preferences in respect of some matter. The old man braced himself up, looked at the officials and said “Sirs! I am 78 years old. This is the first time I am hearing of officials wanting to note down what my preferences are. Hitherto you decided what was best for me. Never asked me what I want”. We are pleased to have the Hon’ Prime Minister discussing with Political Representatives and our Officials the Government Economic Development Programme and Jaffna District Development Projects. This is a process we have been agitating for and not long ago in this very Hall we had Hon’ Malik Samarawickrama taking the trouble to find out our point of view before embarking on Economic Development Programmes and Projects which related to his Ministry to establish a National Program of 2000 Entrepreneurs for the whole Island of whom 200 were to be from the North. Sir, there are a few matters with regard to the psyche of the Tamils of Sri Lanka that you must understand. At my age I believe I am qualified to express same. You would realize from around 1956 when the “Sinhala only” Act was foisted on us, the Tamils of the North and East preferred to critically engage the Government in power rather than approve of an enduring partnership with them except during the short spell in 1965 under the Prime Ministership of Hon’ Dudley Senanayake. As a result the electorates in the North and East suffered due to lack of economic endowments from the Centre. When it was decided to end this period of lethargy and indifference towards the North and East and a positive engagement was opted for what irked the Northern and Eastern Tamils was the “top to bottom” attitude of the Centre. That sums up how the Tamils have felt so far after the end of the war. You must realize that we apportion more importance to the attitude of the Centre rather than their lavish largesse. When we found a discriminative design on the part of the Centre in the post 1956 period we resorted to non – violent struggle openly rather than deign deceptive co-operation in order to obtain our lost rights. It was only when non – violence failed that violence took charge. But it must be remembered that generally we are, as a unit of people with special characteristics of our own, trustworthy, provided you recognized our talents and temperaments. We are as a Nation conscious of our antiquity and our ancient classical language. The older generation among us still approve of the adage “high thinking and simple living”. All this introduction brings me to the matters at hand. Our Economic Development must ensure that we the people of this Province are at the helm of our own affairs. We cannot be used as a vassal Province for the benefit of wayward investors. We are proud of our heritage; we like to live a life of our own rather that be dictated to by outsiders. But we are most certainly willing to join in earnest co –operation in the economic field, like in co – operative federalism in the field of politics. Hence there are a few important policy considerations we like to discuss with Your Honour. In the aftermath of the war there has been certain major infrastructural development already in place. But our Rural areas have been neglected. We must empower our rural folk to have access to markets in the Agricultural and Fisheries Sector while they preserve their rural innocence and simplicity. In working out our Industries we would prefer not to use our natural resources internally available if alternatives from elsewhere could be procured or purchased. Release of productive lands from the Armed Forces must be a followed by rapid economic development based on knowledge and technology transfer bearing in mind our immediate and future needs. In Private – Public partnership, preference must be given to our local investors first, our own diaspora investors next and if unavailable to others from outside the Northern Province. We would like to give priority to our regional work force, then to our Provincial work force and thereafter to others. Whenever environmental concerns arise it is essential that our local environmentalists official or otherwise are consulted and their opinion obtained. After all we are a war affected community and we need special considerations. We have a different terrain and topography, different climate and also different life perceptions and therefore our consonance in important matters must be obtained. We do not approve of “one stop” offices in Colombo dictating the course of internal investments and economic regeneration in our areas. Our Northern Provincial Council especially its elected representatives must be taken into confidence and their views obtained when directing the course of such investments. Thus all investments must get the approval of our Planning Council and the Evaluation Committee of the Northern Province which I intend constituting officially at the local level shortly constituting academics, subject matter experts, professionals and senior Officials with experience and expertise. Having served as CM for 3 ½ years I am acutely aware of the effect and impact of the dual administration system and their negative impact on the governance of the Province under the Thirteenth Amendment. Next I like to advert to the fact that we work on the principle “small is beautiful”. Unfortunately modern economy treats natural resources as expendable income when in fact they should be treated as capital and/or community assets since they are not renewable and thus subject to eventual depletion. We do not want to be avaritious for more and more profit at the expense of our happiness and depletion of our resources. There must be appropriate use of technology to engender “enoughness” in prosperity appreciating both human needs and limitations. We have started questioning the oft repeated clichés which say “Growth is good and that “bigger is better”. We prefer to follow the process of production by the masses rather than mass production to ensure community empowerment bearing in mind the need for sustainability. Mass production in developed countries have brought enough problems. Ours is a simple but ancient civilization. Our heritage has produced some of world’s greatest scientists and economists but they have remained simple and humble. It used to be said the reason for this trait of ours stemmed from the fact that even the most richest and powerful male visiting our Temples especially the Nallur Kandasamy Temple must take off his upper garment and walk like any other person. I remember as a youngster some of the most powerful Tamil men from Colombo who donned the western garb in Colombo and abroad on arrival in Jaffna used to change over to simple vershti and walk about mingling with the common people. Hence we emphasize that the philosophy of materialism should take a second place to justice, harmony, beauty, health and harmonious community living. Armed with these basic ideas that “small is beautiful” we prefer not to mass use our resources, not to allow control of our resources by outsiders, not to be mesmerized by lavish thoughts on material happiness etc. With such controlling thoughts we would view Government Economic Development Programme and Jaffna District Development Proposals. Not to quarry limestone not only in KKS but from any other part of the Northern Province. If private partnership was preferred to recommence work at the Factory, priority must be given to investors from the Northern Province (whether local or diaspora). This must be mentioned clearly in the paper notifications. In recruiting for employment, preference must be given to local labour primarily from the KKS Division, thereafter the Jaffna District and thereafter the Northern Province. Only if unavailable that other Provinces could be considered. Since the matter has connections with environmental considerations all applications for economic development programmes must be processed by the Northern Provincial Council through its Department of Environment. Having set out our preferences and perceptions let me get on a few specifics which were shared with His Excellency the President day before yesterday and which I would like to flag before you too Sir! Open the Police Force to those who wish to apply to be recruited as ASPs. There are hardly any Tamils in the higher echelons of the Police Force leave alone the rank and file. (vide Appendix I to Item I of Provincial Councils’ list in the Ninth Schedule to the Constitution. It says there shall be a Provincial Police Division for each Province consisting of Provincial ASPs, CIs, IPs, SIs, Seargents and Constables recruited in the Province.) Directive should go out to Ministry of Internal Security, to establish a Police Training College to serve the policing needs of our Province. Find similar openings in State Services so that the complaint that only Sinhalese and Muslims are recruited to State Services could be negated. Private sector employment be sought for those qualified in Arts and Commerce. Vacancies in the Tourist sector be made open to those Tamil speaking Unemployed Graduates. It has been observed that the fund for devolved subjects are being allocated to the Line Ministries instead of releasing the money to the Provinces. For the year 2017 we have requested a sum of Rs. 10,000 Mn for development works in the Northern Province. However only Rs 1,657.18 Mn has been released by the Finance Commission and hence there is a reduction of a sum of Rs 8,342.82 out of our request. There is balance due from last year, still unpaid too. The implementation of the projects for the devolved subjects with the Line Ministry’s funding is carried out by our Local Authorities. We have experienced that the Line Ministries are taking over the control of funds and the payment mechanism at the Central Government level. But the implementation mechanism is in the hands of the Provincial administration. These two different approaches create a lot of confusion, tension and practical issues and delays in making payments to the contractors and others. And there is thus tremendous delay in completing the projects. The function of the Finance Commission with regard to the implementation of Projects under the Provincial Specific Development Grant allocation is to stream-line the Provincial administration to comply with the national policy on development works. At present the approach of the Finance Commission is to have total control over the funds allocated to the Province. This restricts our ability to decide and prioritize the Projects according to the needs of the Province. This approach could also weaken the process of devolution of power to the Provinces. A Directive could be given to the Finance Commission by Your Honour to monitor and ensure that the projects are identified and implemented as per National policy and not to intervene in the decision making role of the Province. 4. Fourthly I like to point out that lack of coordination exists among the Central Government Agencies in granting approval for development project initiatives by the Province. There are number of projects which are identified on priority basis which require approval from the Central Government Agencies such as Environmental Authority , Department of Wild Life, Department of Forest , Geological Survey Mines Bureau, Department of Coastal Conservation, Urban Development Authority, Department of Archaeology etc. However we have experienced delay in getting approval from these Agencies. The main cause for these delays is lack of coordination between the Central Government Agencies and the Provincial administration. In-order to strengthen the structure of both Central and Provincial level administration a proper coordination mechanism has to be set up and implemented. A directive from your Honour could be given to the Ministry of Provincial Councils and Local Government to facilitate and convene monthly meetings between the above Central Government Agencies and the Provincial Ministries to expedite the approval process for the efficient and effective implementation of the Project in the Province. When informing the Province of the meetings, the Chief Minister and the relevant Minister in charge of the subject must be informed. 5. An urgent matter needs reference. It concerns the shortage of gravel and sand and its impact on Development projects. A Cabinet directive No.08/2017 under Reference MDE/AD/03/CABPA/2017 dated 01.03.2017 has been issued under His Excellency the President hand. This has resulted in much hardship to us in the Northern Province bringing building construction work almost to a standstill. According to Article 2.3 of the said circular the GSMB-TS will solely undertake sand mining operations in the entire Island. The GSMB-TS is Technical Service of Geological Survey and Mines Bureau registered as a Limited liability Private Company. Due to this Article 2.3 the Central Environment Authority denies permission to mine sand to all others. Until this circular came out the GSMB granted permission to all in the private sector to mine sand. Now a monopolistic right is reserved in GSMB Technical Services (Pvt) Ltd. This institution solely cannot undertake this function throughout the Island. The denial by CEA to permit sand mining has caused severe shortage in sand supply affecting all construction and development activities. A tipper load of sand has soared from Rs. 20000/- to Rs 40000/- to Rs 50000/- Our people affected by the War have now been affected in their resettlement and renovation activities too. The CEA has to relax its restrictions. Earlier the Forest Department issued permits to mine sand with the consent of the Provincial Irrigation Department. The CEA permitted the Forest Department to issue authority for Sand mining. We may consider bringing the procedure back to the old system. May I also suggest the packeting of all sand by the State through its institutions such as GSMB-TS. Packeting would help control waste, make sand readily available in the Market, there would be control and monitoring of the process of sand mining and helpful to both casual constructors, companies and contractors. Further Article 2:8 of the Circular refers to a Committee to supervise sand mining process and operations. Nominees from the relevant Provincial Councils have been ignored. River sand mining areas are under the Provincial Irrigation Department. Thus a nominee from our Province needs to be included. The Wild Life Department has refused sand mining in the Nagar Kovil area. They have nothing to do with sand mining. They should be asked to release the embargo on sand mining. Similar embargos are put in place by the Forest Department. They have prevented river sand movement in Kilinochchi and gravel from Mullaitivu. 6. It may not be out of place for me to refer to the importance of repairing Provincial and Rural roads. They have been completely neglected for over 60 years. The revenue of Rs.1200Mn of the Local Authorities of the Northern Province collected from stamp duty and court fines during the period from 2011 to 2013 was remitted to the Treasury. Only Rs. 500 Mn has been released this year and the balance fund of Rs. 700 Mn is yet to be released. A directive may be given by Your Honour to make the budgetary provision and to expedite the release of funds. These are some of the matters I like to flag before Your Honour at this meeting. I thank you once again for gracing this occasion. I am sure you will do everything on your part to bring solutions to the many matters enumerated here before. 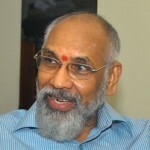 External Affairs Minister Ravi K's "Internal Affair"
So Vellala Wiggy wants to give jobs to Jaffna residents ,KKS residents and the Diaspora first…..Then he will give the rest to the others in the Province….After that only, he will consider the others.t…….Obviously that will be the East , where Vellala Sambandan has his seat…..Our Southerners have Buckleys getting a job in Jaffna,,…..Then he wants ,ASP jobs and other Government positions for all the Graduates in Jaffna……All Development projects need to be sanctioned by his Vellala MPs in the PC…..He wants the Army to vacate all lands in the North….., KKS cement factory will be allowed only if the Government agrees to Vellala Wig’s list of demands………Did the Yahapalana PM, Dr Ranil listen to all Vellala demands ….Has Dr Ranil already given the Federal Title to Vellala Wigneswaran…..
KA sumanasekaram Aiyaa avarkale, please come to North and East invest in developing non-Vellala’s of North and East. You bloody Sinhalese come to Jaffna and enjoy the free toddy and banana given by Non-vellala community. When you Mahinda Rajapakse bombed North East did you differentiate between Vellala and Non-Vellala. When you and your thugs attacked, robbed and destroy up country Tamils we understood your bravery. we know how you upper class Sinhalese treated poor low class Sinhalese and up country Tamils in the South. Stop Nonsense bloody racist. Ajith, what a bloody good response to this nut bag KA Suamanaya. He and his incestual cousin jimshitty’s stupidity is baffling. Two dummies working hand in hand is indeed a comical scene to watch. Ajith mate, I just returned from a trip East and North…..I would love to open a Salt Water Barra Farm in Mannar or Mulivaikal…..Will Vellala Wiggy let me…Talking about Dalits, I thought LTTE heavies ,Rev Raiappau and his apprentice Emmanuel would have pumped in Millions to help their flock…..Sadly Mannar is the least developed among the ex LTTE strongholds…I thought I could buy some good Thora dry fish there…. But the market is a stink hole……Your Diaspora talks the talk……But no walk…Right….BTW Palmyrah Toddy in Nanthikdal was delicious…..You must think of bottling it for the Diaspora, so that Vellala Tamil from the North can have a taste of it ,while eating Poori and Mutton Curry i in Scarborough… Or is it plain Dosai with Sambar…. You made a visit to Salt water Barra Farm in Mannar or Mullivaygal?? Well why can’t you open your water farm in Badulla or Monaragalle? Who invited you? Do you know how many acres of Agricultural land is occupied, cultivated by Sinhalese military which was owned by Non-Vellala community? How many of the poor Non-Vellala women were raped by thugs like you?I know the blood of the Tamils is very Tastier & delicious to blood thirsty Sinhalese like you since 1958. Ado Sumanaya, I hear there is treatment for nutters like you and jimshitty in Angoda. Go and get it. On your way, pick up your incestual cousin jumshitty as well. I sound like Wiggy and Siva, not like Wimal & Rajapakse. Wiggy and Siva do not cheat like your thugs. Do you know the meaning of reconiciliation? Reconciliation is about understanding and sharing. Yeah, look at your back, big stick Viggy has forked into you! Viggy do develop, development of hatred, intolerance and discrimination! Follow him like you did the sun goat! Paradise is waiting with virgins! CT or Tamils are not reporting. There is a Tamilnet article in which a disgrunteld woman is scolding whop ? infront of Wigneswaran. So, wigneswaranchose to slide away ASAP. It is the Tamils in the North that has so many probmes. they should hire arusty boat to go to Australia or should go to Tamilnadu. jimshitty you can join them on their way to Tamil Nadu and split the cost of the boat ride. Then you can take a train trip to Orissa where you came from. You are a filthy mongrel of the stray kind. Go and screw yourself you low life hog. We brought that issue earlier here. But outside of CT comments, Sumanthiran has made an statement on that. She was a Appe Anduwa employee( probably appointed by EPDP). Now it is your responsibility verifying Sumanthiran’s Statement. Jim, Your idea of sending them to Australia or Tamil Nadu is too old. It looks like, no one wants them, because they ‘Vest’ (not vested) interests. The Manchester incident was part of that vest interest. Clear, crisp and mature message from the CM of Northern province. I wish we (Indian Tamils) also get such honest, brave and visionaries as our leaders. If the cost of sand is brought down the housing cost will com down. There were many CT comments saying NPC not doing with the money given to them. NPC is not given the money allocated in Budgets, depending on that they stared programs. There were many CT comments saying Sinhala People feeding Tamils. The dupe is out now. The minor collection made by NPC and remitted to Appe Aanduwa accounts, had not been released. There is lot of chance now this money is in foreign bank accounts. The sand robbery earlier blamed on by EPDP is now taken over by Appe Aanduwa (a private company -GSMB Technical Services (Pvt) Ltd, which need not to account for anybody- may not be investigated even by COPE) and funds can be directly deposited in Aloysius account or foreign bank accounts”. The 20th century Foxier is playing a game of one shot Sinhala(nization) Only of NPC with his fraud game of developing NP. Can he get out of NP with his 150,000 goons sucking the resources of that poor province? The implementation of the projects for the devolved subjects with the Line Ministry’s funding is carried out by our Local Authorities. We have experienced that the Line Ministries are taking over the control of funds and the payment mechanism at the Central Government level. This why we had insisted not to have any three tier devolution. Appe Aanduwa, the master in skipping, will bypass PCs and will have enforced it through the Local councils. Younger Brother Prince’s Divineguma and Ranil’s Central Development Bill are inverse to this, Aanduwa itself have it done. The underlying problem is others in power are trying to say what is good for us . They are interested in yielding something without rocking the boat . We have a very big backlog of unresolved grievances and problems which the powers that be refuse to see or even if they see they are not prepared to give in. One thing is certain what majority community enjoys as routine or taken for granted has to be fought for every inch of it at the highest level . Nobody in-between or below is prepared to apply what is being doled out to the majority community as routine or daily administrative decisions.This has been going on for so long and many more that could be listed out but who is going to listen to? Even our leaders are unwilling to inconvenience the majority leaders for God knows for what earthly reason. Are they not duty bound to care for their constituents even ate risk of estranging their political allies? Eelam Tamils people will never vote Mahinda Rajapaska or Gotabaya or his party team supports due to blood finals wars in Jan to May 2009. Mahinda Rajapaska and his brother and war criminals ranks army commanders all are responsible for killings Tamils people and cluster bombs on Tamils populations area. Sinhalese people thinks it is fun and they are happy to see thousands of Tamils people were killed by Sri Lanka governments but not LTTE. LTTE is the reason for separate the islands to protect Eelam Tamils people in their homeland. For Sinhalese people thinks LTTE are not protects for Tamils people because it is just racist and suicide bombers. Sinhalese people trying focus Eelam Tamils send out of the beautiful country. The God is reason monsoon rains affects in Southern provinces due to highers racist and attacks on Tamils and Muslims. You can see hundreds of Sinhalese people were killed by badly weather. The God is watching for you all. Disappeared Tamils were responsible by Mahinda his brothers. Most Tamils disappeared were killed by SL army but not LTTE. It is such shameful for Eelam Tamils people. Mahinda Rajapaska already apologized to UN for charged War crimes and Tamils cleansing ethnics and focus Sinhalese people moving to Norths from Southern when Tamils people were killed. And allows to destroys Tamils culture and bring structures a Buddhists-Sinhalese in North and East. Mahinda Rajapaska unable to win the election due to Tamils and Muslims will never vote it again and mass Eelam Tamils people were killed. Many parents or relatives still upset without see their loved ones. Things is still pain and time is very difficult. It would best option to Referendum Tamil Eelam for North and East due to genocide of Tamils, discrimination and lots problem. The governments will never solve the problem for Eelam Tamils due to beautiful island is Sinhalese-Buddhist only. North and East is Tamil homeland. Other place is Sinhalese homeland. Nobody Sinhalese know Karuna Amman was responsible for Police 600 were killed! MR made his heroes and forget about killings of Sinhalese Police. What a joke! LTTE was responsible for killings of Sinhalese people because governments was responsible killings Eelam Tamils that make a fair enough. If Sinhalese continue racists that God will create a more affects on Sinhalese areas. Sinhalese people should accepts on Tamils people.